Hi! 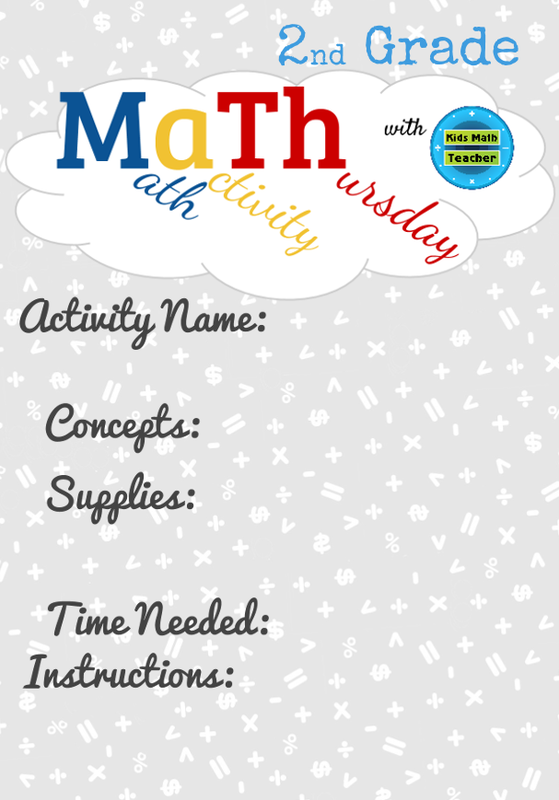 It's Thursday so time for Math activity Thursday! 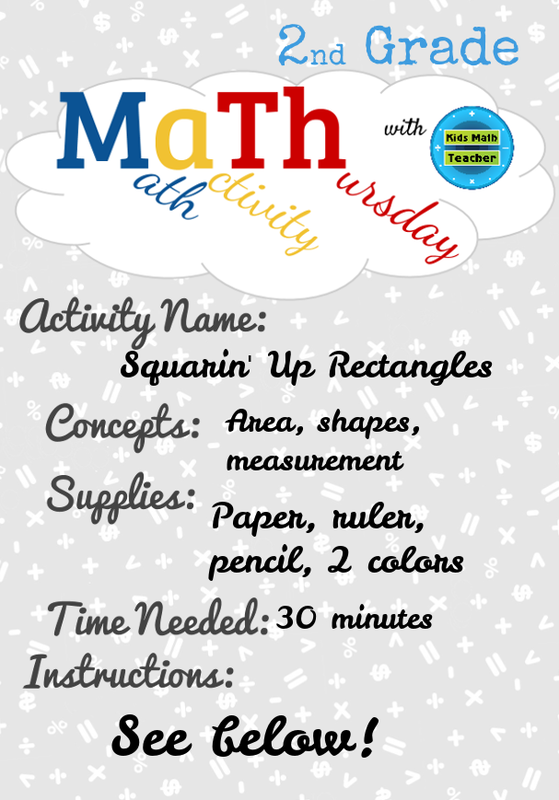 Activity Name: Squarin' Up Rectangles! Concepts: Area, shapes, measurement--Partitioning anything into squares is really all about area. Time needed: 30 minutes for a class, but if doing at home it can be as little as 15. 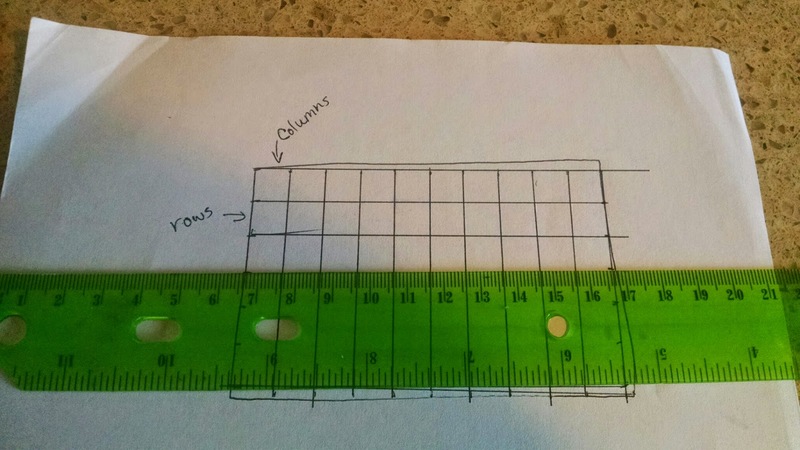 Using a ruler start at one of the corners and make a mark at each centimeter. On each of the parallel sides (BTW you should use these terms with the kids--it's important to teach math vocabulary early on) make sure to start measuring at the same place. For example, on the vertical lines I started measuring at the top and on the horizontal lines I started measuring on the left. 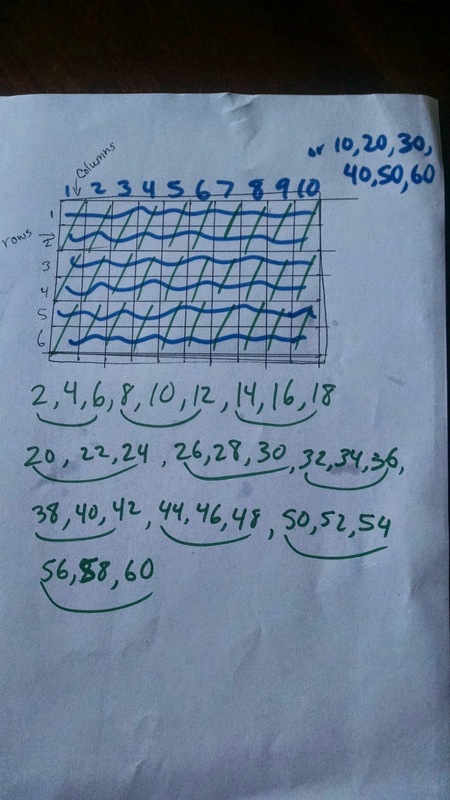 (You could do this whole exercise with graph paper but your students wouldn't have the challenge of making a grid in their free-hand rectangle). 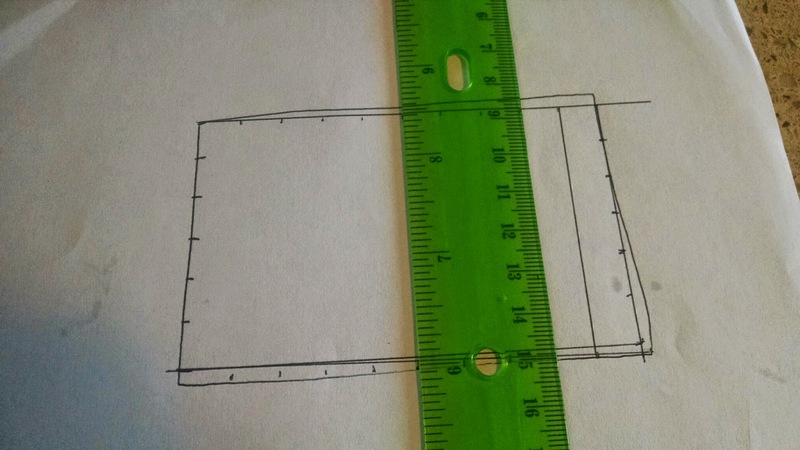 You will probably find that not all the corners are exactly L shaped (90 degree angles) so you will need to redraw some of the sides to make them straight. 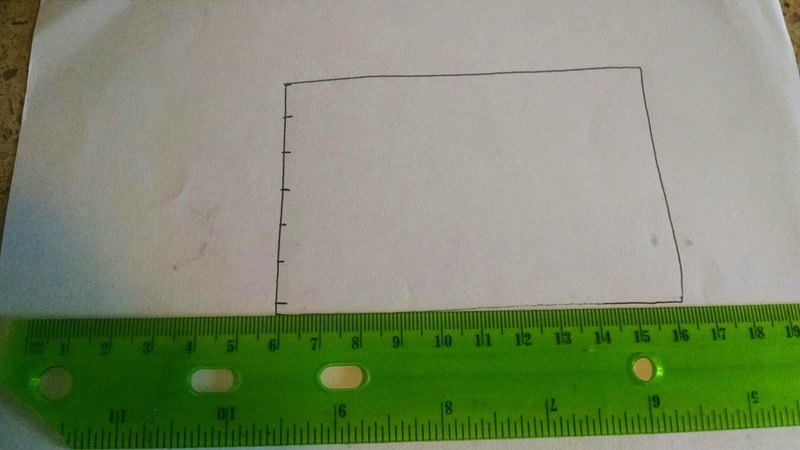 Use the ruler to draw a line between the two measured points. Count the number of squares down each column and number them (that is how many rows there are). In this example there are 6 squares for each column. Kids might not be able to count by 6s (or however many rows they have with their rectangles), so we count the columns by 2s (you can count by 1s but it just takes longer and you could do 3s too). 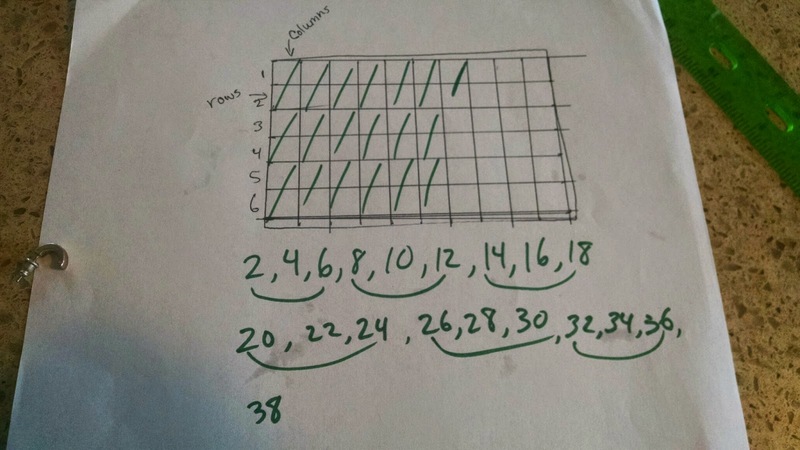 Each time you make a slash through the blocks you write the number you are counting up to (I drew a line under each group of three numbers since that is one whole column). Keep going until you fill in the whole thing--finding the area inside the rectangle. Now, to double check that we did the area correctly we will also count the squares in the rows. Label that--those are the number of columns. Mine were easy to count since there were 10 squares in each row. Then I just skip counted ten as I marked the counting. You might want to ask the kids which way was easier for their rectangle--Counting by columns or counting by rows? 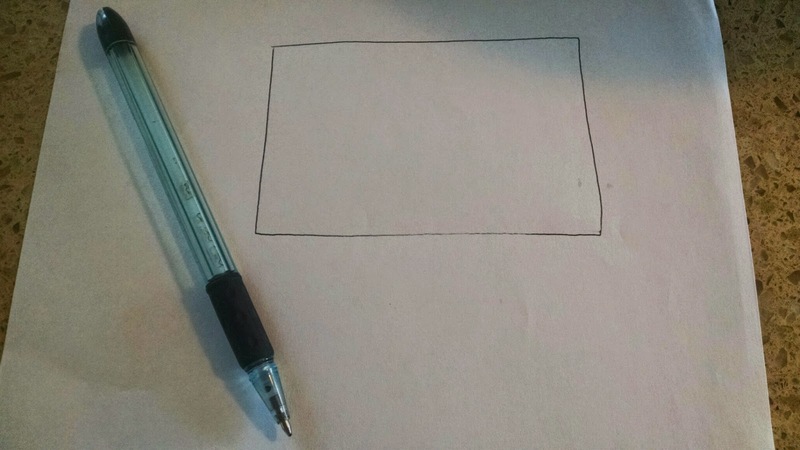 Explain to the students that they just found the area of a rectangle. It might have been hard to do it this way, but as they progress through math their will be shortcuts to find the area. Once they know multiplication it is just the height (vertical measurement) times the width (horizontal measurement). In this example we had 6 rows of 10 (6 x 10) or 10 columns of 6 (10 x 6), but equal the same 60 squares. I hope you enjoyed Squarin' Up Rectangles! Now it is your turn to share a math activity if you want. Here is the template and you can link up your 2nd grade activity any time this month. In other months we will have other grades too. I can't wait to see what kinds of activities you have!